Eddard Stark with Ice. . HD Wallpaper and background images in the House Stark club tagged: game of thrones eddard stark. 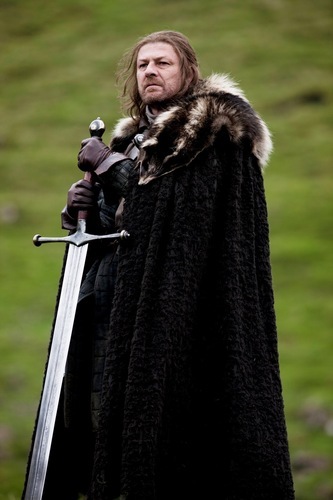 This House Stark photo might contain 망토, 망 토, 모피 코트, 모피 칼라, 모피 악센트, and 모피 액센트.